So, you just updated your Website to a modern, mobile-friendly design and everybody loves the new look and functionality. But, what about your Sales Literature? Are you still handing out those ten-year-old Company Brochures featuring personnel who are no longer with your company? Does your Line Card list vendors with whom you no longer do business and does it list all of your new vendors? Were your Product Sheets designed my a professional graphic designer using the latest design software or by a staff member using one of those do-it-yourselfer desktop publishing programs like Microsoft Publisher? We Have What You Need to Look Your Best! Boye Creative Group, LLC. 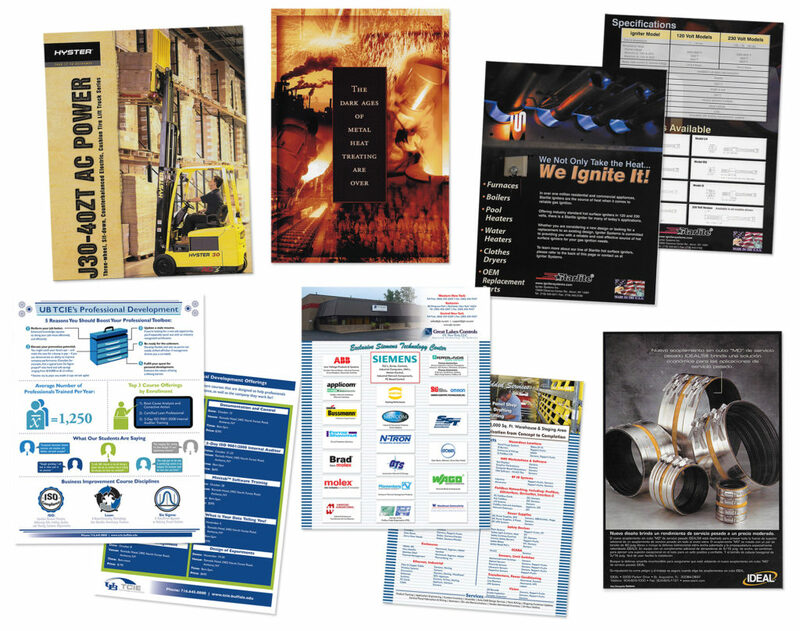 specializes in designing Custom Brochures, Mailpieces, and Sales Literature for companies like yours. Our staff uses the latest in professional graphic design software and has the skills and experience necessary to present your company’s products and services in an exciting light. Oh … and did we mention we also design Mobile-Friendly, Responsive Websites?